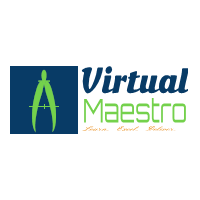 Starting immediately, any VCP who is two versions behind the most current available version in the same solution track can upgrade to the latest by only taking one exam. 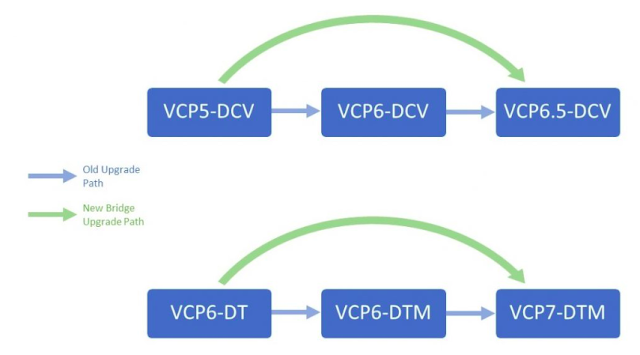 Because before this change, if you held a VCP5-DCV and want to upgrade to VCP6.5-DCV, you would first have to earn the VCP6-DCV (by passing the delta exam) and then upgrade to the VCP6.5-DCV (again, through the delta exam.) In other words, you were not allowed to “skip” a version, unless you wanted to start the track from the beginning and take training and the Foundations exam. But now, with this bridge path available – if you are a current VCP and want to upgrade over two versions, you can by passing the latest VCP exam for that track. One exam and that’s all, and you will hold the most current version. Bridge path only applies if your VCP is current; if yours has expired, you will need to take the Expired path for your VCP.